Hello my dear crafty friends and welcome to my last minute Holidays banner tutorial. I made with tutorial with some of favorite Tando chipboard banners. Step by step: 1. 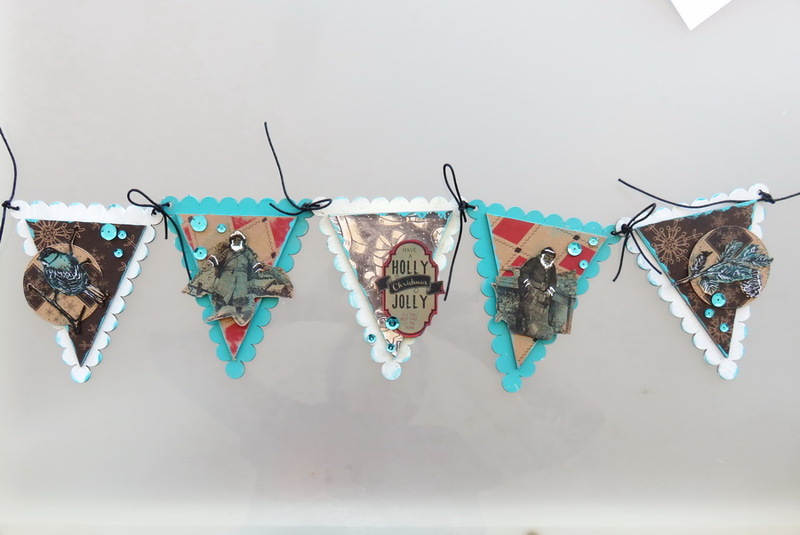 Paint the 3 outer banner parts with Tattered Angels light blue paint and add a bit of teal paint on the edges. 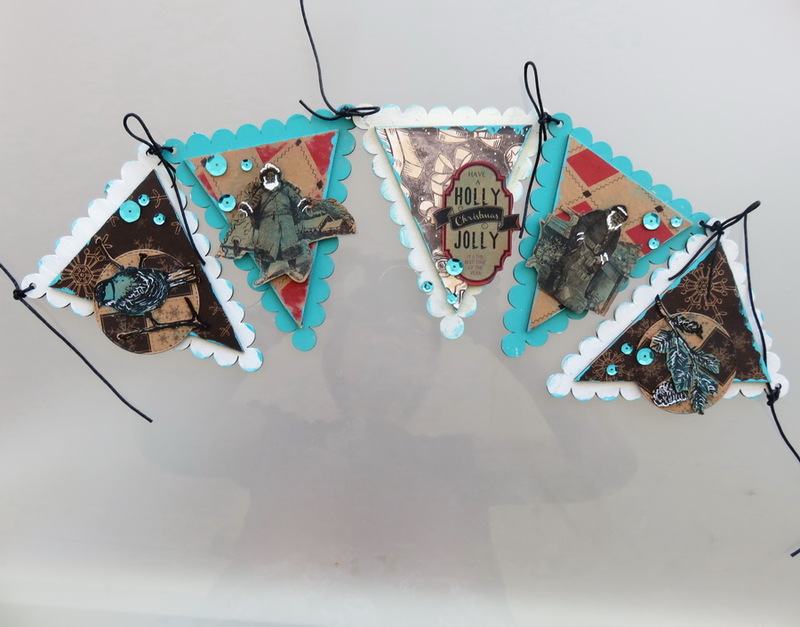 Paint two other banner parts with Tattered Angels teal paint..
2. Cover the inner parts of the banner with Canvas Corp patterned cardstock as shown and ink the edges with teal paint. Cover the painted parts with inner triangles and glue them. Hello my dear crafty friends and welcome to my Holidays Tando post! As you all know I love Tando printer trays in any shape and this is a new one I made a Christmas House of joy . I made a small tutorial for you and hope you like my new Tando creation! Step by step: 1. Paint the chipboard house shaped tray with blue and white paints (Tattered Angels). 4. Add paper cuts from 7 Gypsies papers into the windows as shown. Hi folks, Lisa here and welcome to my blog post for Tando. This week it's the colour theme. 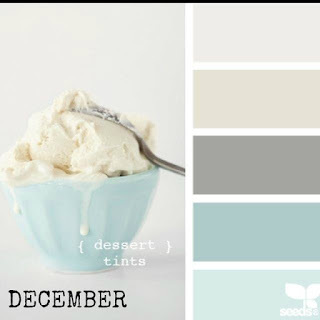 And with it being December we have some gorgeous icy blues and greys to challenge us. I chose the Tando MDF Owl Clock to play with this week. First I painted the clock pieces with a coat of DecoArt White Gesso before putting the clock together. On the front of the clock I added some DecoArt Texture Sand Paste in some areas and some DecoArt Crackle Paint in other areas. When it was dry, I made a couple of different shades of blue using DecoArt Colbalt Teal Hue mixed with white gesso and a couple of shades of grey using DecoArt Paynes Grey and again mixed it with white gesso to create different shades. I used the grey colour to paint the clock face and owl. I added the clock hands and added some strands of decorative floristry strands to the love heart opening where the owl sits. All the products I used for this creation are at the bottom of my post and are all available on the Tando Website. Hi! Dana here today sharing the door hanger that I altered for the Color Theme this week. The cool blues and greys in the beautiful color palette below, have me thinking about snow and ice. I altered a Door Hanger, Leaf Branch, and Star Button for this piece with layers of acrylic paint, crackle glaze, and shimmery mist. I had a lot of fun incorporating texture on this piece. I added burlap, cotton ribbon, paper flowers, and pearl sprigs and sprays to this large embellishment cluster at the top of the hanger. 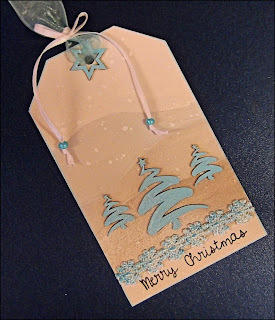 I added more of the same frosty chipboard, flowers, and pearls to the bottom of the tag, along with a strip of blue lace for a pop of color. You can find the chipboard I used for this project in the Tando Creative Retail Store. Hi there! Christmas is more or less upon us now but there is still time to make some tags! Using this months colour theme that's exactly what I have done. BUT, no matter how I tried the grey tones came out a sort of beige in my photo's so you will have to use your imaginations today. The little *trees* and the *star* have been painted blue and some clear glitter added. Scraps of lace and ribbons finish it off. and here is my last ATC..
Andy Skinner industrial stamp set for Stampendous. Good Morning folks. This week's recipe was: 1 stencil, 2 stamps and 3 snowflakes. I chose the Tando Christmas Advent Kit to play with for this challenge. The circle frame and the background come as two separate pieces which makes it easier to apply different mediums and techniques. I started with the background and the 1st step of the recipe - use 1 stencil. I used the joined snowflakes Tando mask with white DecoArt modeling paste. When dry I added DecoArt Media Cobalt Blue Fluid Acrylic. The 2nd part of the recipe - use 2 stamps was next. I stamped one of the stamps over the background of the stencilling. 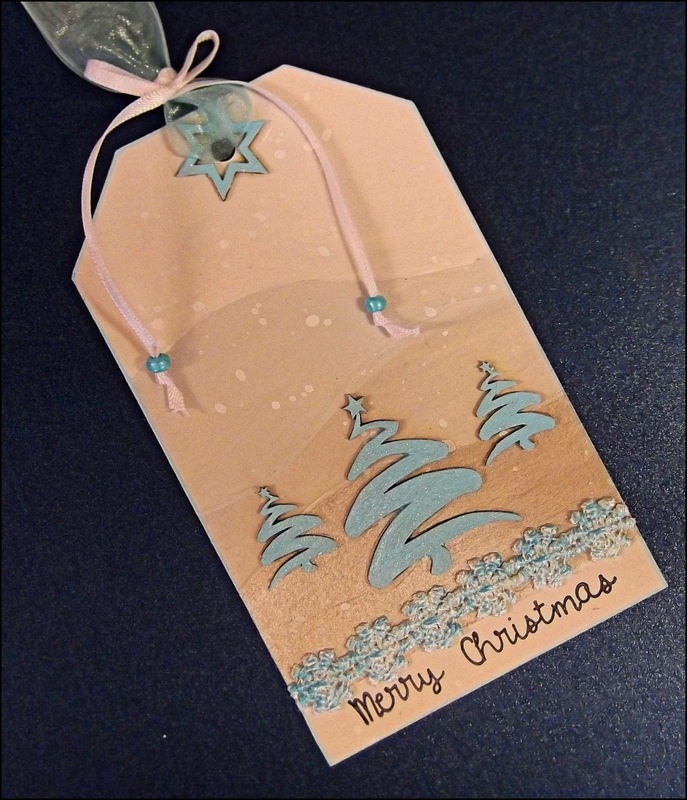 Then stamped a bauble stamp on a piece of card with a painted background then cut three of them out. For the frame of the Advent I first covered it with DecoArt Texture Sand paste and let it dry. I then added English Red Oxide, Paynes Grey, Primary Yellow, Raw Umber and Colbalt Teal DecoArt Media Fluid Acrylics to create a rust effect. The third part of the recipe - use 3 snowflakes. I used Tando Minis Snowflakes and layered them to create bigger 3D snowflakes. I painted them with DecoArt Metallic Gold Fluid Acrylic and brushed over some DecoArt Gold Green. To finish, I used the powders from the Stampendous Bronze Frantage Jewel Kit on the numbers and the pointer. Thanks for popping by the Tando blog today. Everything I have used to create this project is posted below and available at Tando. If you would like to pop over to my blog to say hello click HERE.